There are tons of bands that have influenced us but Radiohead, The Killers and Interpol probably the most prominent. We started out as a guitar band really, but were always interested in adding things like synths and strings. At the time my Mrs was in a band called Earl and they had been working with a David Luke from a band called My Computer who was a wizard with electro stuff. I picked his brains about what software to get and after a few months we had a new sound and some new tunes…I would say we have the same darkness in a lot of our tracks as Joy Division and my lyrics quite often share the same world weary view as those of Ian Curtis. New Order obviously pioneered and popularised synth and electro music and had more of a pop sensibility. They made music that will be played and fill dance floors for many years to come. We aim to achieve the same thing. The band performs Block Out The Sun at Sofar Manchester. Recording the album was pretty intense, long days from about 10am to 10pm, could fry your brain sometimes but it was worth it. We had done a lot of work in preparation before we went in, we had already demoed all the tracks and had most of the synth parts and strings and stuff pre recorded. Working with Kipper was brilliant he taught us a lot about building the sound and creating texture. Kurt recorded about ten guitar tracks on some songs, we wouldn’t always use them all but it gave us lots to work with. Kurtis Starkie performs Never Look Back. The band record a one-shot acoustic performance of Block Out The Sun, from their album The Slow Readers Club. The band plays Block Out The Sun at at Sofar Manchester. The band releases a music video for Block Out The Sun, from their album The Slow Readers Club. 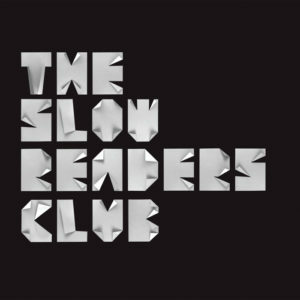 The band releases a promo for One Chance, re-recorded for inclusion in their debut album, The Slow Readers Club. The song is about growing up and struggling to come to terms with the 9-5 steady existence. Its about a discomfort with routine and a longing for a bit of chaos . 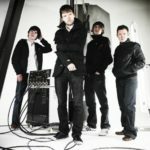 The band release a video for Sirens, from their album The Slow Readers Club. Kurtis Starkie releases a video performance of Mr Mystery. To cut a long story short, Omerta broke up, Neil (drummer) and Nick (guitarist) left. Me and Jim (bass) carried on, brought my brother Kurt in on guitar and worked with a few different drummers for a few months before Neil came back and The Slow Readers Club was born. It’s kind of our take on The Smiths – it feels outsider-ish. It’s a little bit rebellious I think. I have a very clear memory of going round secondary school, when I was leaving junior school to be orientated, and we went round all different rooms like science labs and I thought it was crazy. We came to one room which was called ‘special needs’ which is such a non-PC term these days. I thought it was curious that you could be put in a stream from that early on and SRC is our version of that. It’s a rejection of that notion. We want to make sure that we are not a band that will simply fall through the cracks. Clint Boon has said that if he was to play with another Manchester band it would be with us. And when Mike Joyce of The Smiths heard one of our tracks he said ‘that’s one of the best songs I’ve ever heard. When Shaun Ryder first heard one of our tracks ‘Synchronise Your Smiles’ he put his head in his hands and said ‘I can’t believe this band is unsigned’. I am sure that we can do it. Our band of supporters is growing by the week and we have got 13,000 My Space friends. And every gig is a big event. Omerta performs Follow me Down. Omerta releases a music video for One More Minute. Omerta release One Chance, their second single, on a limited edition of 400 7″ Vinyls and 400 CD’s. Omerta release their debut double A-side single Everyone is Frozen/Learn to Love the System on a limited 7″ run.